The growing public obsession with cannabidiol, or CBD as it’s commonly known, has been a mixed bag. 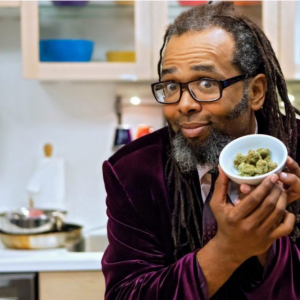 From the minute the “doesn’t get you high” version of medical marijuana began mainstreaming, scam artists and venture capitalists dove headfirst into the hemp-CBD racket, and the pharmaceutically minded went straight to parlaying that demand into proprietary and patentable medicines approved by the Food and Drug Administration. On the flip side, however, CBD has also helped more people understand cannabis and thereby question federal laws and regulations. The more popular it gets, the more people look into trying it — even those who never would have touched cannabis in the past. 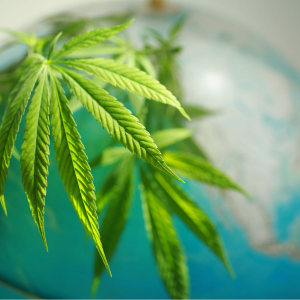 Like others I know in the cannabis space, I believe the hype around CBD that rose with the green rush is reaching a fever pitch, thanks to the 2018 Hemp Farming Bill, which legalized the plant for commercial purposes. Friends and family have been reaching out to me more than ever to ask about CBD, only to be generally frustrated when I don’t offer a simple answer or recommend a specific product. I don’t have the oversimplified answers that people desire, and anyone who says they do is lying. I’m unlikely to know about most products because many of the companies that sell CBD are brand new, and more are popping up every day. I do know that CBD alone isn’t as effective as whole-plant medicines, and that some CBD products on the market are essentially expensive garbage. Cannabis testing labs around the country have examined hemp-CBD products and found a not-so-surprising result in this hype-heavy marketplace. Some products contained pesticides and heavy metals, others inaccurately labeled potency, and many contained no traceable CBD at all. 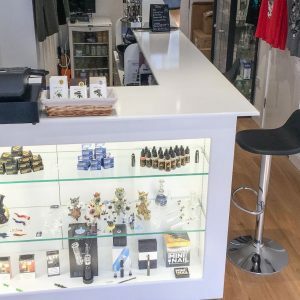 My intent is not to simply call out those profiting from bad information amid high demand, but to lay out the rationale and the steps to vet CBD products for those who seek to have a better understanding. More importantly, this is an attempt to look beyond CBD and see the incredible benefits and plethora of uses of the entire cannabis plant family — THC producers and all. First and foremost, we must stop referring to CBD as non-psychoactive, because it’s not true. The term “psychoactive” refers to chemical compounds that enter the bloodstream and pass through the blood-brain barrier to receptors in the brain. CBD is a psychoactive cannabinoid — if it weren’t, it would have no effect on neurological conditions such as epilepsy. Well-known cannabis researcher Jahan Marcu, Ph.D., has tried to correct this fallacy. 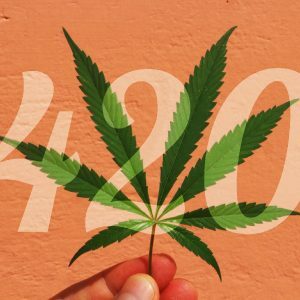 CBD, unlike THC, is non-psychotropic, which means it doesn’t induce an intoxicating high. Cannabinoid researcher Dr. Sunil Aggarwal points out that the stigma associated with the THC high has led to its unjust demonization. 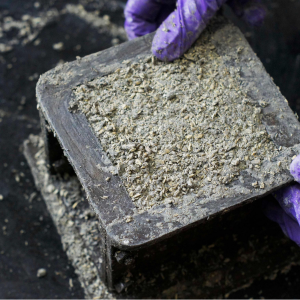 “The whole idea of ‘getting stoned’ is a social construct,” Aggarwal says. Sociologically speaking, as identified in the book The Medicalization of Marijuana by Michelle Newhart and William Dolphin, the stigmas associated with getting high derive from the social aversion to the counterculture that has championed the issue since the 1960s. The concept of getting high is ideologically repulsive to those who have been opposed to cannabis, because it was associated with groups they seek not to identify with — despite the real and measurable therapeutic value of the psychotropic effects of cannabis. 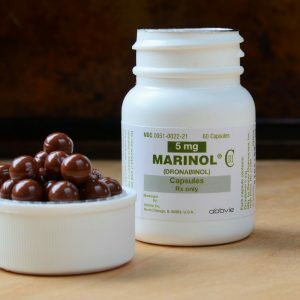 The FDA has recognized the value of synthetic THC, a Schedule III drug known as Marinol, for more than 30 years. This is important because many people who could be helped by different varieties of cannabis are being pushed to CBD exclusively because of the stigma associated with THC. 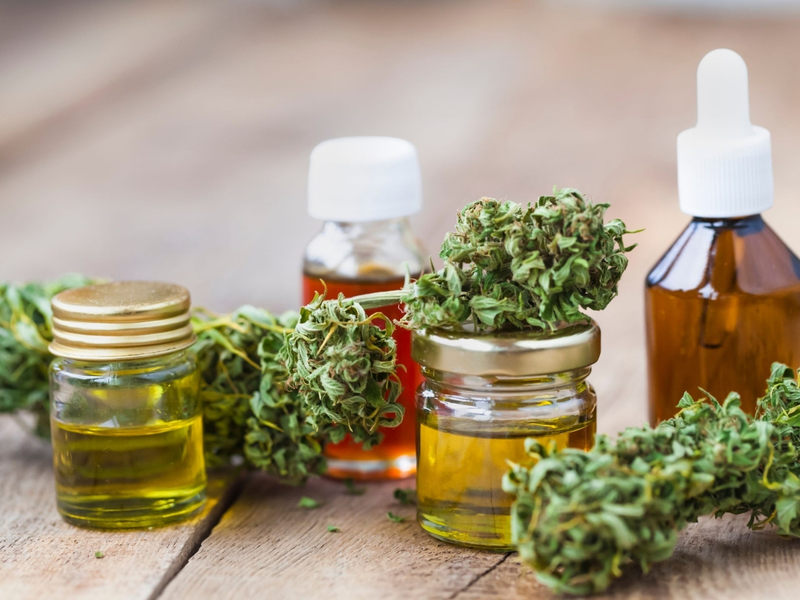 Today, CBD products touted as “non-psychoactive” are everywhere, and the term is being used to promote CBD as “more medicinal,” even though neither conjecture is true. 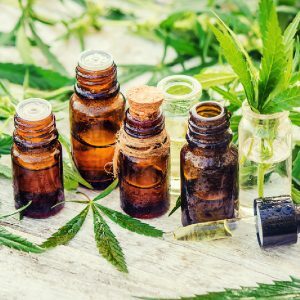 Because CBD has become so popular and so many people are trying to market their own CBD lines, the internet is littered with think pieces and puff pieces on CBD’s status as either the hottest new beauty trend, a medical panacea, a trendy and expensive addition to anything sold at Whole Foods, or an overhyped snake-oil scam. It’s all of the above. If explored beyond the surface, however, CBD might open eyes to a whole new understanding of health, wellness and herbalism. The 2006 sci-fi comedy Idiocracy comically imagines a dystopian future where the majority of the world evolved backward and is now stupid. Much of the decline is blamed on corporate oligarchy, which dominates this future society. In the movie, Private Joe Bauers, a man from the present day who is average in every way, is cryogenically frozen as part of a long-forgotten military experiment. Five hundred years later, the pod in which he’s been frozen is opened while being tossed around in an avalanche of trash. It’s quickly determined that Joe is now the smartest man on Earth, and as such is immediately tasked with solving widespread crop failure. “For the last time, I am pretty sure what’s killing the crops is this Brawndo stuff,” Joe says. This kind of thinking sets people up for failure. CBD is not a cure-all, nor is it even a cure most. CBD by itself is only as good as all the other naturally occurring plant compounds it synthesizes with. As with all other herbal remedies, diet and lifestyle also play a role in how effective it can be. I understand why people cling to this simplistic understanding, however. As a patient with an autoimmune disease, I know that we are trained by the profit-driven American health care system to believe in so-called silver bullet solutions, like pharmaceutical drugs and hype-marketed CBD products. To get the best results using CBD, cannabis or any other herbal remedy, you must first understand what it is and how it works. It’s a bit more complicated than your body “craving it.” Or maybe not. Pharmaceutical drugs are designed around standardized, isolated chemical compounds, often synthetic versions of those made by plants. 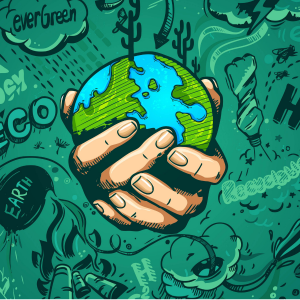 Like all other living things, plants are never standard — they’re a result of two important factors: nature (genetics) and nurture (the environmental conditions that mold that life form over time). Just like humans, every cannabis flower has its own unique genetics that are coaxed out by different farmers using different processes. 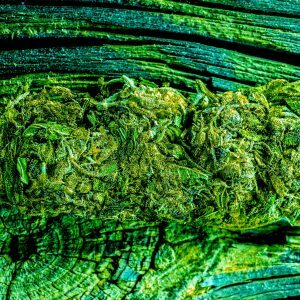 Even buds from the same cannabis plant can have slightly different chemotypes — i.e., the combination of naturally occurring compounds that produce the effects of that specific plant or byproduct. The chemotype is made of three groups of compounds: cannabinoids, terpenoids and flavonoids. THC and CBD are both cannabinoids and occur in the highest concentrations in most plants grown commercially today. 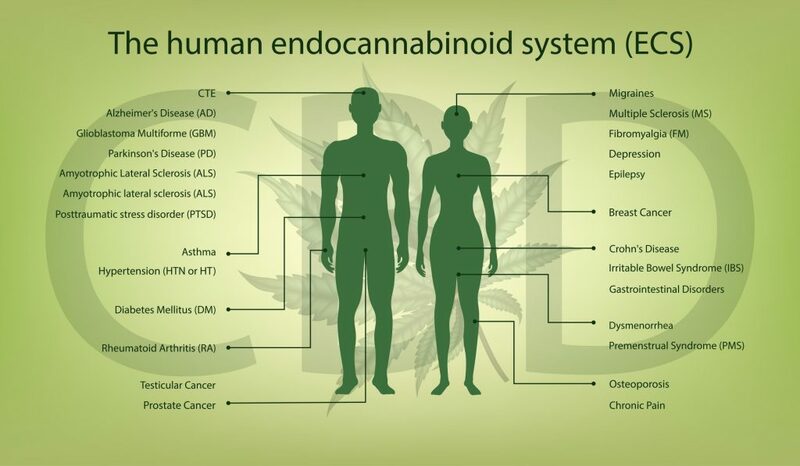 But they are not the only cannabinoids. Terpenes are essential oils that have medical effects and steer the range of cannabinoid-fueled experiences that people have with both THC and CBD products. Flavonoids are not as understood in the field of cannabis, but known flavonoids that occur in other plants as well as cannabis have antihistamine, anti-inflammatory and antioxidant properties. More importantly, scientific research indicates that, despite the economic incentive to make magic bullet solutions, the true benefits of cannabis are found in botanical formulations that utilize these variable and naturally occurring chemotypes. Indeed, evidence is increasingly supporting the entourage effect. The best treatments for me tend to be the most diverse, and involve me switching up varieties and methods of ingestion and formulations as much as possible. Anecdotally, patients that have had great long-term success with cannabis will say the same thing: They switch up variety or method of ingestion without raising the dosage as they did when they became tolerant of standardized pharmaceuticals. The case for Cannabis synergy via the “entourage effect” is currently sufficiently strong as to suggest that one molecule is unlikely to match the therapeutic and even industrial potential of Cannabis itself as a phytochemical factory. Those results showed that 71% of patients improved with CBD-predominant Cannabis extracts vs. 36% on purified [isolated] CBD. 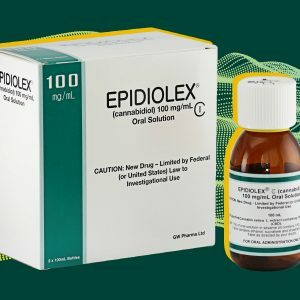 Studies on Epidiolex, the first FDA-approved pharmaceutical CBD drug, have shown that over time, the drug becomes less effective. Tolerance to a medication happens easier when it is an isolated compound, but the beauty of cannabis is that every plant has a slightly different orchestra inside it. Variety is the spice of life — and the key to the most effective cannabis medicines. THC and CBD interact directly with one another in the human endocannabinoid system (ECS), and when taken together, they can be more effective for pain and inflammation. Because of the way THC and CBD interact with each other in the ECS, CBD lessens the feeling of the THC high. “[CBD] is psychoactive, it is an anti-anxiety agent, an antipsychotic agent. But, it also complements a great number of the effects of THC,” Russo said in an interview with Martin Lee of Project CBD. The cannabis plant remains a Schedule I controlled substance with no accepted medical uses, despite legal pharmaceutical THC, CBD and terpenes. While there is no biological difference between hemp and marijuana — they are both parts of the same cannabis sativa plant — the legal limit of THC is set arbitrarily at 0.3 percent. 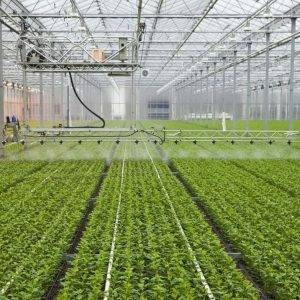 This has paved the way for a broad range of cannabis varieties to pass under the legal definition of hemp: Those that produce seed for food; those that produce fiber for textiles, paper and fuel; and those that are essentially marijuana flower plants that just so happen to fall under the legal THC limit. When neurosurgeon and reporter Dr. Sanjay Gupta introduced no-high CBD to the mainstream via his CNN special Weed, HempMeds PX — a subsidiary of Medical Marijuana Inc. — was the first to release a high-CBD, low-THC extract it claimed was legally hemp and marketed as a health supplement. This opened the floodgates for more CBD products to start popping up as legal hemp. Here is the problem: Although the Farm Bill will change this reality, the hemp-derived CBD market has been wholly unregulated and has existed in a legal gray area. Lab tests have shown that some of these products, like those made by HempMeds, contained dangerous contaminants or untrue labeling as to their CBD content. Companies around the country have slapped the CBD label on hemp oil pressed from hemp seeds, which contains no cannabinoids; on hemp byproduct produced with pesticides for papers and textiles but not for human consumption; on products made simply by adding isolated CBD; products with a noticeable amount of THC; and products that don’t even contain any form of hemp, cannabis or CBD. With the passage of the Farm Bill, hemp production is now legal and the FDA has indicated it is working out how to regulate hemp CBD. The possibilities of hemp medicine go far beyond just CBD, however. Because the legal definition refers to any cannabis plant that is less than 0.3 percent THC, traditional marijuana flowers high in CBD, CBG, CBN and other lesser-known cannabinoids are already being grown and bred as hemp. Enthusiasm can be a double-edged sword. Like the medical cannabis movement, the excitement around the healing abilities of CBD has led to a lot of bad information and products being passed on to desperate people. In many ways, the run on CBD has further marginalized THC and the plant itself. On the other hand, CBD has been an important catalyst in the resurgence of herbalism and a broader shift toward natural healthy living as preventative and/or nutritive medical practice. So, for all those people asking about CBD brands and how to use CBD products, here are the guidelines I would look for when vetting a CBD product. These can also apply to everything else you consume. 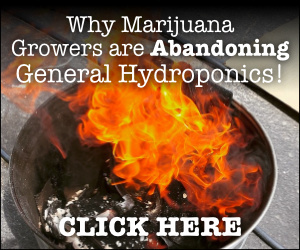 If products are not affordable or available to you, there is always the option of buying seeds or clones, growing your own and extracting it at home. This approach takes a little more research, time and dedication, but can be equally as rewarding and far more cost-effective. Or, if you don’t mind paying more for convenience or hype and marketing, that is your prerogative. The most important thing is to make sure what you are doing is safe. If you’re looking to treat a serious condition, one that requires daily pharmaceutical drug use, talk to a doctor first. Adrian Devitt-Lee of Project CBD breaks down what is known about CBD and drug interactions pretty thoroughly in this article, titled CBD-Drug Interactions: Role of Cytochrome P450, which also serves as a reference for having a conversation with your doctor. 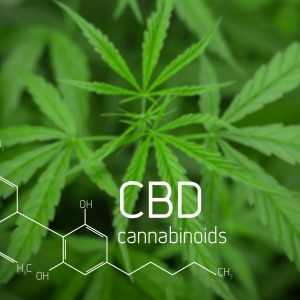 Project CBD is also an excellent resource. Know who is making it: If the product was purchased on the regulated and/or legal market, there will be public information on the company that produced it, including business registration, lab test results, location, social media presence and contact information. If the company is not transparent in its marketing materials, internet posts or direct communication about how its product is produced, then you shouldn’t buy its products. 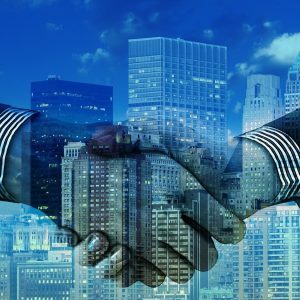 Good companies will be transparent about how they make their products. If the product was purchased on the illegal market, it’s ideal to deal directly with the grower to ask about their cultivation practices. If this is not an option, it may be safer not to purchase from them. There are a lot of scam artists out there and some of them play fast and dirty. Don’t take risks: It’s better to be safe than sorry, especially if you are treating a serious medical condition. 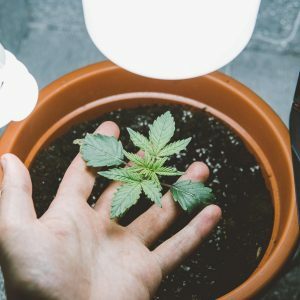 The safest sources of cannabis are clean, organic, homegrown or legally regulated products with long-standing reputations for quality and purity. Don’t go broke for it: If you grow clean, CBD-rich cannabis flowers at home and make your own infusions or extractions using safe methods, you will be ensured to have a quality supply at the best possible price. Do not do home extractions using volatile chemicals that can blow up a house — stick to food-grade preparations instead. If you wish to track your dosage, labs in some states will allow you to test your product. Don’t be afraid of the plant: Cannabis cannot kill you. If you aren’t getting relief from a high-CBD extract, try other forms of cannabis. If you are anxious or cannot be intoxicated, start with smaller amounts of THC. And remember that CBD is not your only option, the best option, or a cure all. 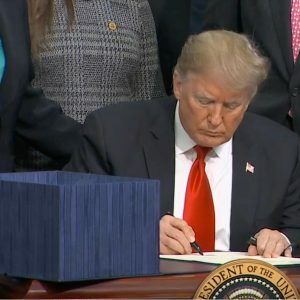 CBD And Hemp Now Legal In The US — What Does This Mean For Marijuana?